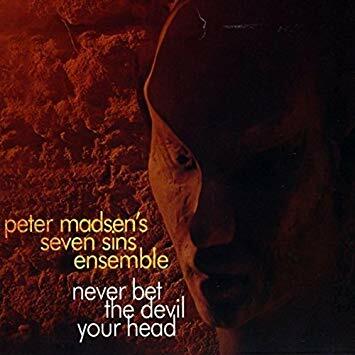 Never Bet the Devil Your Head is the second recording with Madsen’s Seven Sins Ensemble, one of nine ensembles born from Madsen’s Austria-based Collective of Improvising Artists (CIA), an organization he founded in 2007. Madsen’s Gravity of Love, also released on Playscape in 2012, was his first recording with this ensemble. Never Bet the Devil Your Head pays tribute to Madsen’s childhood memories of reading spine tingling tales and watching suspenseful thrillers such as The Pit and the Pendulum, written by renowned author and poet Edgar Allan Poe. Much like Gravity of Love, this second project with his Seven Sins Ensemble explores similarly dark material such as The Raven and The Tell-Tale Heart, pulled from some of Poe’s short stories, which inspired this recording. Check the review section for reviews of this album!